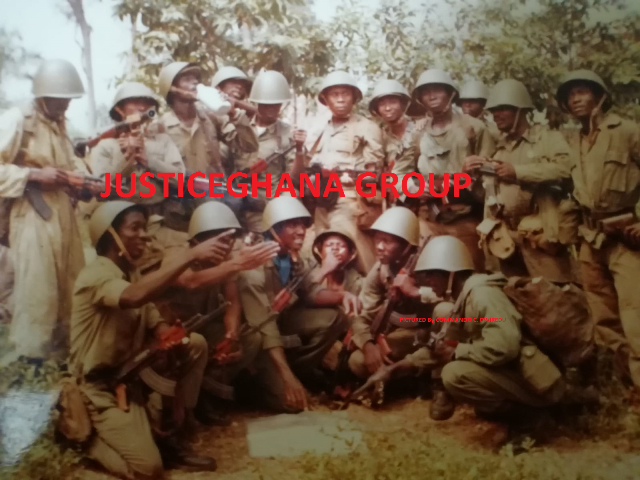 An Accra High Court presided over by His Lordship Utter P. Derry, on Tuesday ruled that the Armed Forces Act of 1962 (Act 105) is inconsistent with the provisions of the 1992 Constitution of the Republic of Ghana. According to the court, the aforementioned Act is outdated and probably needs to undergo some review process to be fine-tuned to meet the test of time. The Judge made these comments in his ruling on the issue involving one Captain Nikyi of the Forces Pay Office at the military headquarters at Burma Camp, in which he has filed a suit against the Ghana Armed Forces (GAF), Ministry of Defence and the Attorney General, seeking to enforce his fundamental human rights. In his ruling, Justice Dery found the Ghana Armed Forces and the Ministry of Defence culpable of violating the fundamental human rights of Captain Daniel Nikyi, contrary to the provisions of Article 12 (1) of the Constitution and upheld its earlier ruling for the officer in question to be granted bail. Captain Nikyi, who served as the Finance Officer for MONUC GHANBATT 12 in the DR. Congo on a United Nations Peacekeeping Mission between January 16, 2007, and January 14, 2008, was arrested and detained in a military guardroom on October 15, 2008, after an audit report on the accounts he submitted to the Military High Command made adverse findings against him for having misappropriated an amount of US $300, 000.00. He was subsequently charged with five offences under the Armed Forces Act and put before a court martial where proceedings are still ongoing. Though Captain Nikyi, through his Counsel applied for a bail at the court martial, the military refused his application, compelling him to file a suit at the High Court seeking to enforce his fundamental human rights. The court, which deals with human rights related cases in its wisdom granted him a GH ¢20, 000.00 bail. Dissatisfied by the ruling, the Military High Command filed a counter claim in which it pleaded with the court to review the bail order, expressing fear and suspicion that the plaintiff/respondent (Captain Nikyi) could flee from the country. After hearing both sides of the argument, the Judge finally ruled on the matter and upheld its decision to grant Captain Nikyi bail. In his ruling, Justice Dery cited Article 1 (2) of the 1992 Constitution which states that “the Constitution shall be the supreme law of Ghana and any other law found inconsistent with any provision of the Constitution shall, to the extent of the inconsistency, be void,” to support his decision. Justice Dery noted that the length of the detention of the military personnel before his trial contrasts sharply with that of the provisions of Article 14 (3) (b) of the Constitution which requires that the person should be put before court within forty-eight hours or be released, stressing that from the affidavit of the applicants (Armed Forces, Ministry of Defence) the court martial was convened on February 9, 2009 almost a month after the two days. In order words, the Judge noted that from January 15, 2009, the applicants continued detention of the plaintiff was illegal, since according to him, Act 105 Section 61 was “inconsistent with the Constitution, especially Article 14 (1) and 14 (3) (b) in that it permits the military authorities to detain a service personnel suspected to have committed an offence for up to ninety days without trial”, emphasising that Section 61 of Act 105 is therefore void. Justice Dery stated that Article 14 of the Constitution only allows a suspect to be detained without being put before court for up to forty-eight hours, thereafter, if it is desirable that the suspect should remain in detention he has to be put before court or a court martial as the case may be for a specific detention order. Even if the suspect is not tried within a reasonable time, he indicated that the Constitution provides that he is to be released conditionally or unconditionally. He thus cautioned that it is intolerable for any person or institution of state to interfere in any manner with any person's fundamental rights and freedoms. Further, Justice Dery noted with emphasis that the mere fact that the plaintiff is now standing trial before the court martial makes him entitled to his liberty, stressing that the plaintiff has suffered unnecessarily as a result of the misconception and misapplication of the laws of this country as a result of what he described as 'outdated military laws'. In this light, he emphasised that it would be a travesty of justice and a continuous abuse of the fundamental rights and freedoms of the plaintiff to revoke the bail and, therefore, granted him same.